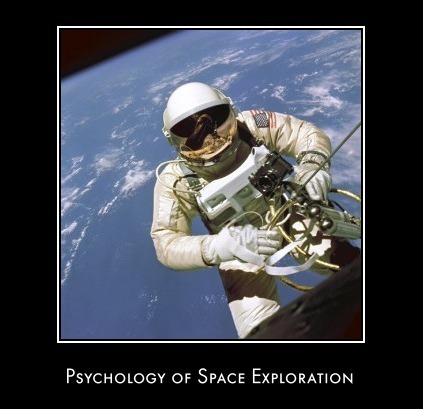 This section of the website comes courtesy of NASA, whose History Program Office recently published a collection of essays from leading space psychologists which investigated the different psychological factors that affect astronauts during space travel, particularly during long-duration missions. According to NASA’s Chief Historian Bill Barry "The essays give a comprehensive overview of this complex subject, providing novel insights for behavioral researchers and historians alike.” The vital nature of the research in respect of future space exploration was also highlighted by Barry who said "The data is important as we work to send astronauts to Mars, which will mean longer missions without real-time communication with family and friends leading to increased potential psychosocial stresses." 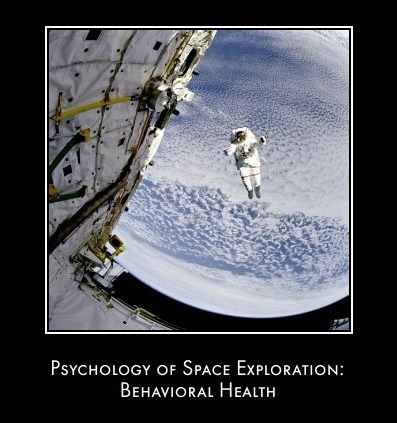 A NASA press release relating to psychological space essays stated that the essays place their contemporary research in historical context by examining changes in space missions and psychosocial science over the last 50 years. "What makes up the “right stuff” for astronauts has changed as the early space race gave way to international cooperation. Different coping skills and sensibilities are now necessary to communicate across cultural boundaries and deal with interpersonal conflicts." In describing the collective contribution of the various authors involved in this innovative research project, the essay's editor, Douglas A. Vakoch, a manager at the SETI Institute and a professor in the Department of Clinical Psychology at the California Institute of Integral Studies in San Francisco stated that the essays provide "an overview and synthesis of some of the key issues in the psychology of space exploration, as well as a sampling of highly innovative empirical research." 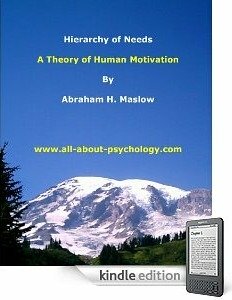 He added further that the authors have "crafted essays that will be of obvious value to psychologists, psychiatrists, and other behavioral researchers. With all this in mind, the primary aim of this page is to eventually make all of these fascinating essays available. Essays posted to date can be accessed below.